The first Paul Cummings artist lives in London, and makes digital art. He is closely associated with Saatchi. 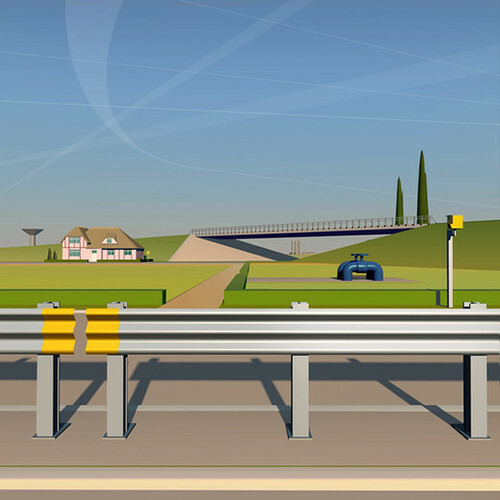 His single piece of art, “Road Side”, seen below, is shortlisted to win the £25,000 Threadneedle prize. BBC tell more here. The second Paul Cummings artist lives in Wiltshire, and often paints with coffee, toothpaste, and cigarette ash, the only materials available in HMP. 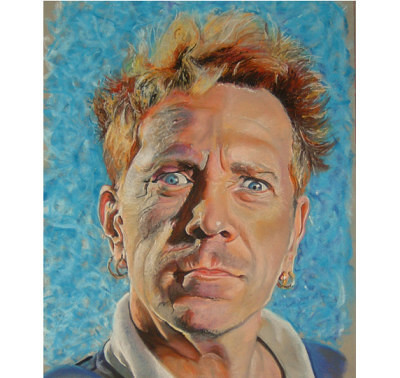 His work, called ‘Lydon’ or ‘We’re So Pretty’ (below) was also in a competition. It was made with chalk pastels, during a period of liberty. and Paul took first prize, to walk away with a cheque for £100. Local papers tell more here. SO…the question is NOT which do you prefer, though tell us if you want. The question is: what puts Paul Cummings the first in position to contend for a prize fund 250 times bigger than Paul Cummings the second? Two pictures, two artists, one name, and 250 times the money. A very marked difference. If, like us, you feel a desire to even things out (but unlike us have the means to do so) email us here, and we can arrange contact with Paul 2.